The Event Schedule is broken into several components. 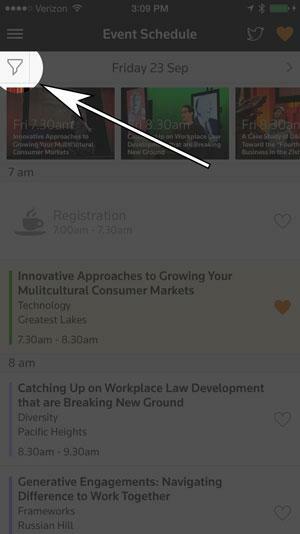 Twitter - Located in the upper right corner of all screens, tap on the Twitter icon to Tweet from anyone in Convene. 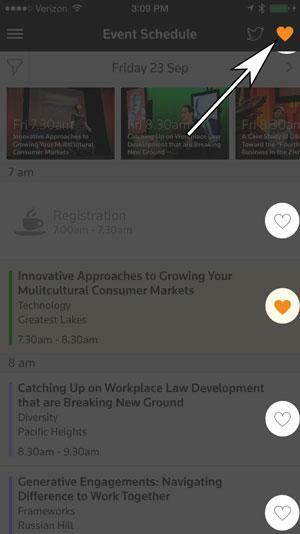 Favorites - Favorite Sessions Activities to build your conference agenda. View your favorites any time, anywhere in Convene by tapping the Favorites menu in the upper right corner. 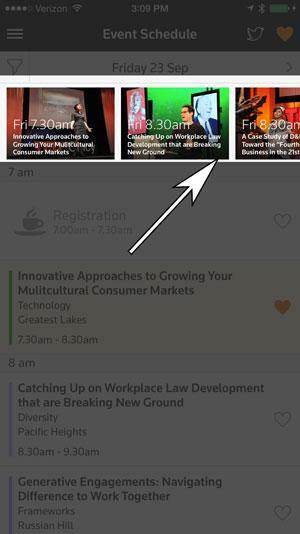 Highlights Carousel - The highlights carousel is for Event Organizers to highlight Sessions/Activities and Sponsors. Sponsors, by default, will always appear in the Event Schedule. Sessions, however, are optional. Showcase a VIP speaker, keynote address, etc. Track Filter - Should the event have more than 1 Track, users may filter on Tracks of interest. A Track is a way to group sessions based on themes. 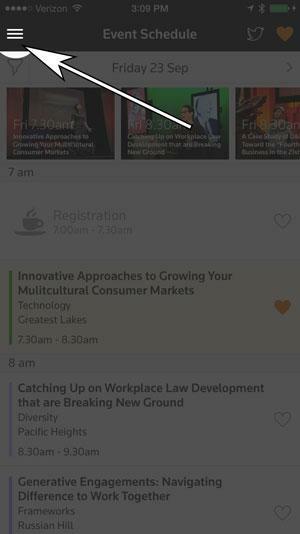 Main Menu - From the Main Menu, you can explore everywhere in Convene, from Attendees to Speakers to Event Information to Exhibitors and more. 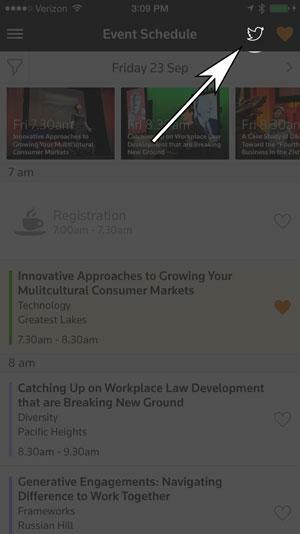 Day Navigation - If the event is greater than 1 day, you can tap the Arrow in the right corner of the Event Schedule or by simply swiping left and right to navigate between days.